The Brooklyn Tabernacle Choir is the most respected evangelical choir in the world. Collectively, this prestigious choir has sold millions of records and has won both Dove and Grammy awards. Hallelujah! 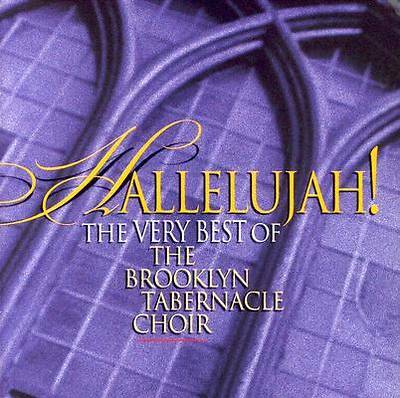 The Very Best of The Brooklyn Tabernacle Choir is their latest offering with a release day of March 14. This album is a new collection of their most popular songs throughout the years, including, "I Can Be Glad", "Favorite Song Of All", "How Great Thou Art", "I'm Clean", and the Hallelujah Chorus" from the New Young Messiah. The list of guest artists reflects the universal appeal of this legendary choir: Twila Paris, Larnelle Harris, Wayne Watson, and others. This is the first collection ever available from The Brooklyn Tabernacle Choir.